Happy Friday everyone! Hope you had a great week! Mine was pretty quiet, but I swear the weeks are flying by! By dinner time every day, I'm wondering where the day went?! Elliott and I have a pretty good schedule but it's much busier than I thought! IT'S HERE!!!! 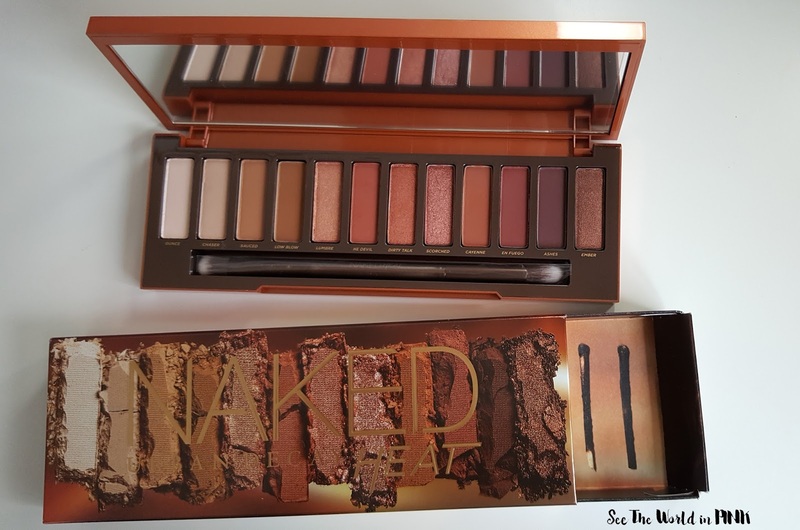 My Urban Decay Naked Heat palette is here!!! If you follow me on Instagram and watch my stories, then you saw earlier this week that I may have went a little shopping crazy and bought a few goodies during one of my late night feeds with the baby! And this lovely palette was one of the buys! I love this palette - it is so warm and lovely! This past weekend, we took our first road/overnight trip with Elliott and we went to Edmonton (about a 3 hours away from Calgary!) 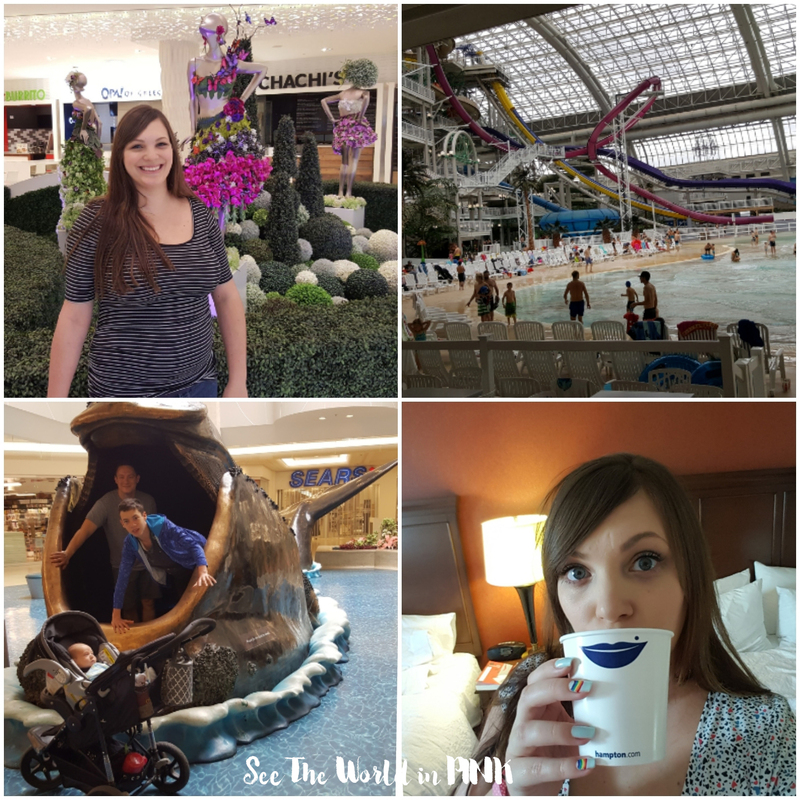 We had grandparents, aunts, uncles and cousins to meet but we also took some time to go to West Edmonton Mall! The boys went to the waterpark and I got some shopping in! It's crazy what you need to bring for 1 overnight stay in a hotel with a baby though! It looked like we were going away for a week! What was really nice for me though was not being at home I couldn't find any projects to do, so while baby slept and the boys played in the pool, I actually got to start reading a book! I haven't read a book since before Elliott was born! Nice to feel like i'm starting to get a little more time for me! How stinkin cute are these clothes?! 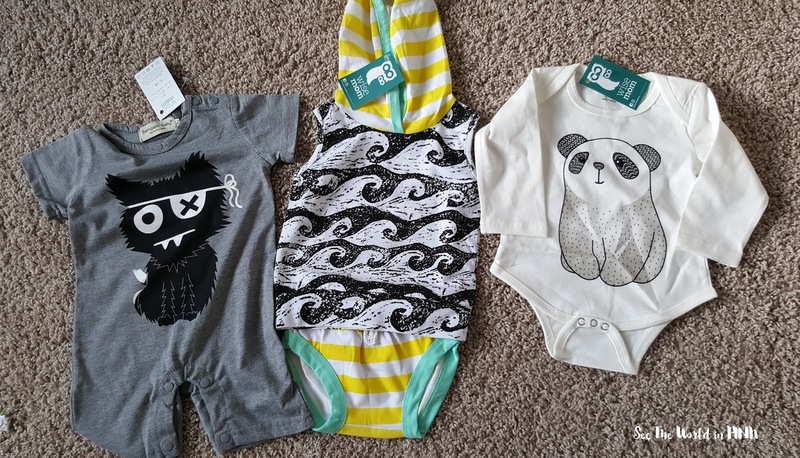 Wisemom clothing is a Calgary based baby shop that has adorable clothes, accessories and toys! I actually got these on one of the facebook auction site i'm part of! Seriously, that little hoodie Summer outfit! I can't wait! Ahhh... I can't help getting all the Starbucks hyped new drinks! These Lady Gaga x Starbucks drinks are called Cups Of Kindness and a portion of each drink purchased between June 13 - 19 is donated to the Born This Way Foundation. So adorable Ombre Pink Drink for a good cause?! Perfect! 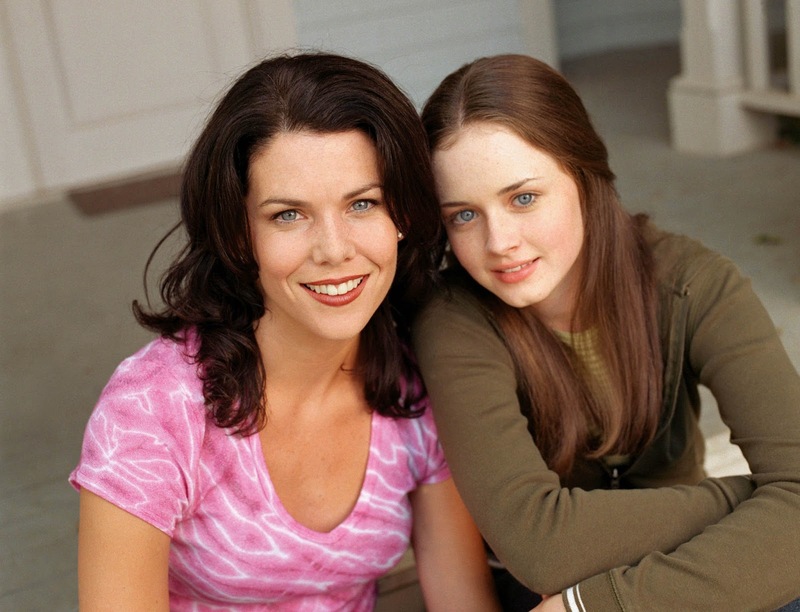 So I started a new Netflix series this week - can you believe I have never watched Gilmore Girls?! This started back in 2000 and I was definitely more of a One Tree Hill and The O.C. girl so I never watched this. I'm starting season 1 and it's actually a little slow (missing the drama of my old favs..) but I will keep watching! Any other Netflix series I need to watch? I've got 2 feedings in the night so I need lots of ideas!